Criminal investigations, charges and cases can be frightening and overwhelming. Having an experienced advocate on your side, however, can help you effectively protect your rights, fight the allegations and successfully navigate the criminal justice system. At Anaya-McKedy, P.C., our Colorado Springs criminal defense lawyers are dedicated, experienced and aggressive advocates for those accused of misdemeanor and felony crimes. Backed by more than three decades of criminal trial experience, our attorneys are former prosecutors who know prosecutors build and present cases try to secure a conviction. Protecting your rights at every stage of your case – We understand the criminal justice system inside and out, and we can guide you at every step of the way, fighting for you when you need it most while helping you limit the potential negative impacts. Bringing your case to the best possible resolution – We will NOT accept an unfair outcome, and we will use our decades of experience to fight for great results and favorable resolutions. Whenever possible, we will aggressively pursue the many alternatives to conviction and incarceration. The lawyers at Anaya-McKedy, P.C. take pride in providing the best possible outcome for our clients while treating them with the highest level of respect and professionalism. Our goal is to show the district attorney that you are a person and not just a case file. Regardless of the level of crime charged, we understand that your criminal case is likely the most important thing in your life, and we treat every case as a matter of the utmost importance. Have You Been Arrested for or Charged with a Crime? We are available 24/7 to answer your questions, put you at ease and defend you. We can meet you and/or a loved one at our Colorado Springs office or jail. We can also discuss your case over the phone. We look forward to speaking with you whenever you reach out to us. Until then, please explore the following content and links for more information about our practice and expertise. Violent crime charges are typically associated with some of the most severe penalties the criminal justice system can impose. These penalties can include anything from mandatory incarceration and death to lengthy parole terms, crippling fines and lifelong criminal records. We are proud to provide the highest quality defense representation to civilians and members from all branches of the military. Identity theft charges can be Class 4 felonies, punishable by up to six years in prison. Commonly, these charges are also filed with other criminal charges, like forgery, theft, mail fraud or computer fraud. In the most serious cases, identity theft charges can be filed at the federal level, in which case the accused face up to 30 years in federal prison. Conspiracy to sell identifying information on the black market. Put 30+ Years of Criminal Law Experience in Your Corner: Contact an Experienced Colorado Springs Criminal Defense Lawyer at Anaya-McKedy, P.C. 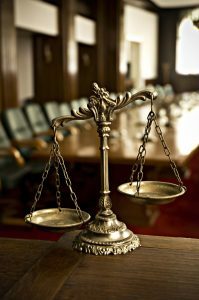 You should NOT settle for a guilty plea without contacting Anaya-McKedy, P.C. Put your freedom, reputation and future in the hands of our experienced lawyers. We will fight for you and work relentlessly to defend you and achieve the best results possible. Our expertise, along with our record of superior representation and success, has earned us many professional honors and awards, 5-star reviews on Facebook and Google, and the respect of colleagues, local judges and prosecutors.